Frances Spiegel is an experienced freelance travel writer who has travelled widely exploring interesting, and often unusual, historical heritage sites. Frances Spiegel is the author of numerous travel articles exploring Europe and Canada, and is the author of Ride the Rocket - Toronto Enabled, a humorous autobiographical guide to Toronto. I write for many sites but Infobarrel is the best. If you'd like to join me sign up here. Credit: Frances Spiegel, All rights reserved. How high will you go? Where can you get the best views of the world's most exciting city. There's the London Eye and the Emirates Air Line cable car, or if you're feeling really adventurous what about walking over the roof of the O2 arena? For something really unusual there's the ArcelorMittal Orbit tower at the Queen Elizabeth Olympic Park, Britain's tallest sculpture and part of the wonderful legacy of the 2012 London Olympics. Credit: Frances Spiegel, 2014, all rights reserved.Then there's the Shard, London's highest vantage point, offering absolutely amazing views of London. The Shard is in the up-and-coming London Bridge Quarter. When completed it was Europe's tallest building but was soon surpassed by Federation Towers in Moscow. Credit: Frances Spiegel, 2010, all rights reserved. Construction took several years and now that it is complete the tower stands tall and proud looking out across the capital and the Home Counties. It rises to 309.6 metres at its highest point, and on a clear day the view extends some 40 miles (64km). This is the only place in London where you can see all of the capital at one glance. On the viewing platform twelve digital Tell:Scopes let you see the city in all its glory at any time of the day or night - sunset can be quite spectacular. The Tell:Scopes also provide information on more than two hundred landmarks in umpteen different languages. All you could want to know about this amazing structure. Visitors take two high-speed lifts. These travel at six metres per second, so getting from Level 1 to Level 68 takes approximately one minute. Credit: Frances Spiegel, 2014, all rights reserved.The lifts are an experience on their own with video screens and mirrors making you feel as if you are whooshing skyward through the rooftops of London passing a kaleidoscope of London scenes such as the dome of St. Paul's Cathedral and the beautiful ceiling by Rubens at the Banqueting House in Whitehall. The first lift takes you to Level 33. To get to the Credit: Frances Spiegel, 2014, all rights reserved.second lift you follow the River Thames snaking across the floor. On the walls and floor a graffiti-style word map of London reminds us of the city's diversity. The second lift takes you to Level 69, the main viewing gallery. A second viewing gallery, accessed by lift or staircase, gives fascinating views high up into the pinnacle of the tower. The view you see here was taken from ground level using a powerful lens. 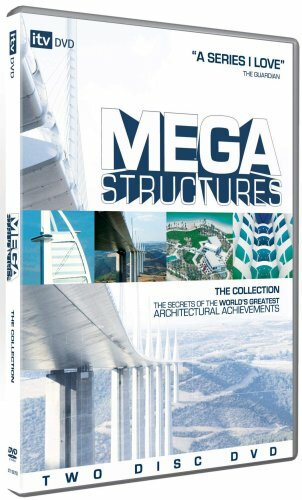 Everything you'll ever want to know about the world's largest buildings. Architect Renzo Piano designed the building as a 'virtual city'.Renzo was also involved in the design of the California Academy of Sciences; The New York Times Building; the Centre Georges Pompidou in Paris; The Jean-Marie Tjibaou Cultural Centre in Nouméa, and many other innovative and exciting buildings. The Shard has an equivalent floor space of 31.4 acres and 87 floors, of which the 72nd floor is the highest level accessible to the public. Credit: Frances Spiegel 2014, all rights reserved. The building has 11,000 huge glass panels covering an area equal to the size of eight football pitches, and enough concrete to line 22 Olympic-size swimming pools. The foundations of the tower, known as 'piles' would measure nearly 14 km if you laid them end to end. Forty-four lifts aim skyward, and if all of these fail at the same time, there are 306 flights of stairs. Oh, my aching legs! The Shard has a hotel, the Shangri-La, a swimming pool on the 52nd floor, as well as exclusive private residences, the highest in Europe. The Shard is a very popular place for couples to get engaged. The first marriage proposal took place just ten minutes after the viewing area opened. Will You Reach for the Sky? Details of opening times and prices are available from The View from the Shard. 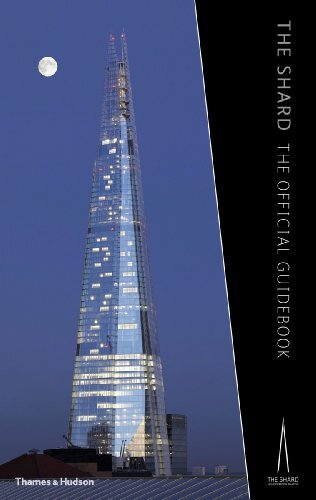 Infobarrel offers more interesting articles including The Shard - Welcome to Europe's First Vertical City. Great article! I viewed the Shard from afar while riding the London Eye. It's quite impressive!